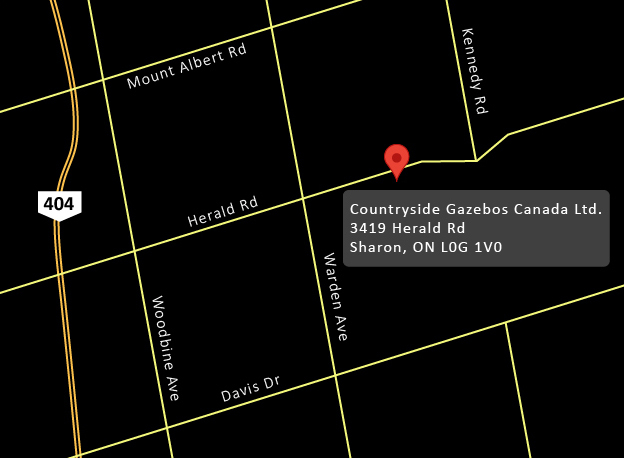 Welcome to Countryside Gazebos Canada Ltd. Please fill in the form below so that we can get to know you better. This information will be used to help determine your local dealer and how they will be contacting you. Your data is always kept private and will never be sold or traded.